Over the period of a few months, I became increasingly sensitive to the “dark side” of social media. In a few seemingly innocent discussions, friends of mine were told that they were behaving “Nazi-like” or “like Capos”. And I noticed that more frequently posts or comments by others had language or other content that neither my organization’s leadership nor my students should have to see. I’m not all seriousness on social media, by any means. And I do know how to control who gets to see what. But I aim for transparency and integrity and found myself backed into a bit of a corner as I decided how I was going to manage and reclaim the social media presence that I wanted. Cleaning up my social media mess became a bit like using a mikvah, albeit without the option of immersing my modem. For a month, I held back off from my usual weekly routine of posting, focusing instead on posts that re-purified and reclaimed my social media in a way that was true to both my personality and, at the same time, to my role in Jewish education. 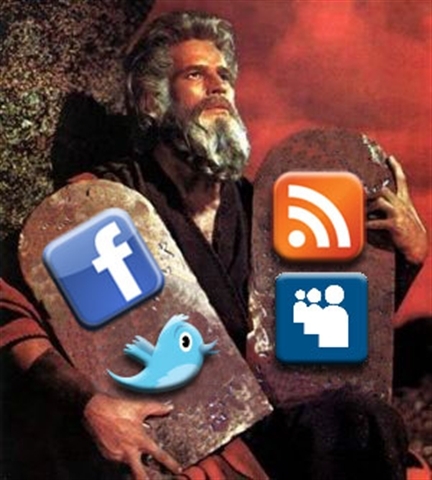 What are the ten commandments of social media engagement for a rabbi or Jewish educator? 1. Develop Friendships – Facebook has redefined what it means to be a “friend”, and not for the better. Let’s retake the classic definition of friendship that includes mutual trust and respect; people we want to spend time with; folks who we want to share our stories with. Reaching out is important. One friend of mine spent a week in which she called one Facebook friend (usually one she had never met) by phone each day. 2. Build Community – I am a community-builder and a connector. Most of the time, when I introduce people via social media (or e-mail), the connection turns out to be a positive one. People make new friends, learn about new ideas, or meet a colleague. One “discussion” that I am a part of has been going on for several months and has included everything from food ideas to personal issues to theological concerns. It even resulted in people sending a gift card to someone in the group who had just gone through a personal challenge. 3. Respect Others – The idea of “what is hateful to you, do not do to another” is Talmudic. And makes absolute sense in cyberspace. 4. Construct a Parapet – Yes, the biblical idea of fencing in a roof so that a guest doesn’t accidently fall off applies in social media. All of us who use social media need to insure that our friends and contacts are safe. Bullies and haters have to be dealt with quickly and decisively. 5. “Serve God with Joy” – This verse from Psalms / Tehillim rocks. Social media should include music, humor, celebration. Be sure to add some. Daily. 6. Learn and Teach – Life on the internet is a havruta happening, a series of learning partnerships. Try to always add knowledge and make use of the wisdom and experiences of others. 7. Engage in Cheshbon Ha-nefesh – The idea of self-reflection is powerful. Does my current image reflect who I really am and the way I wish others to know me? Do I still have posts from my ancient past that no longer reflect who I am today, and need to be edited? 8. Perform Acts of Tikkun Olam – Repairing the world. Every action either adds or diminishes kedusha, sanctity, from our world, even our cyber world. There are amazing opportunities to make a difference in the world, using the amazing technological tools available to us today. 9. Tzimtzum – The Jewish mystical concept of God withdrawing from a space to give room for creations works online. We need to limit our “selfies”; not everyone wants to see our smiling faces every time they come online. On the other hand, there are others online who can use a kind word, a joke, or that latest viral video that’s going around. 10. Remember the Sabbath Day – The idea of giving social media a rest (or at least dedicating it to a higher purpose) one day a week, reminds us that technology is a tool, not an end goal. Give it and yourself a rest. You’ll also find that you have more to contribute when you return. 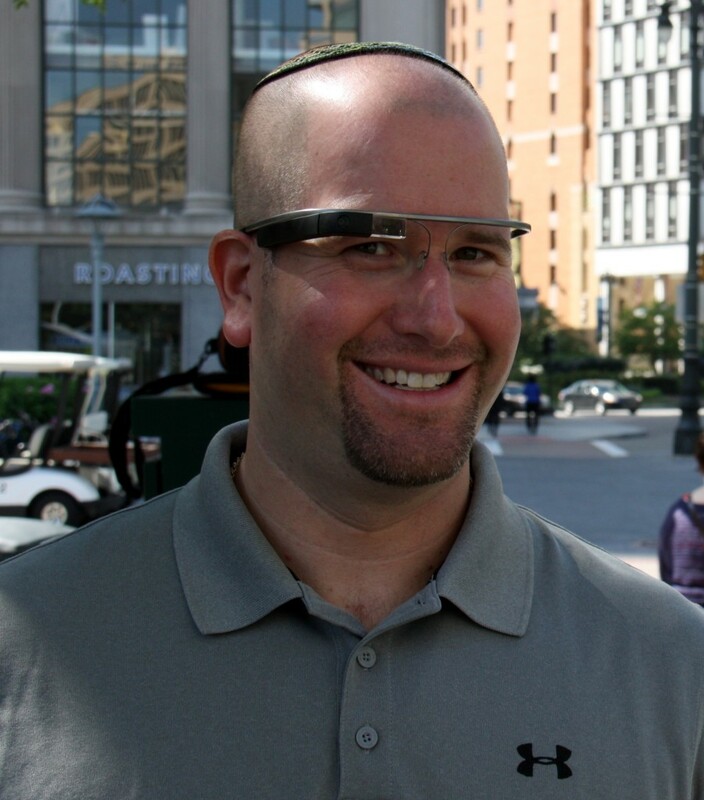 Rabbi Arnie Samlan is executive director of Center for the Advancement of Jewish Education in Miami, FL and founder of Jewish Connectivity, Inc. His Facebook page is Jewish Connectivity and Twitter feed is @JewishConnectiv. ‹ Looking for a Luach Mobile App? Put a Hebrew Calendar on Your iPhone!